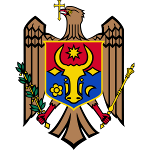 The police force of the Republic of Moldova is a department of the country's Ministry of Internal Affairs. It was created in 1990 as the direct successor of the Soviet Militsia. It is empowered by the state to protect life, health, rights and freedoms of citizens, as well as the interests of the society and the state against criminal and other illegal encroachments. Protection of life, health, honor, dignity, rights, freedoms, interests, and property of citizens against criminal and other illegal encroachments. Criminal investigation and tracing of crime suspects. Moldovan police force is subdivided into state police and municipal police. State police perform their duties throughout the country, while municipal police operate on the territory of specific municipal units. State police and municipal police cooperate closely with each other.